E S C A P I S M tells the story of an emotional journey of a girl fighting to rediscover herself after being put through an ordeal. Healing is a personal process that takes time. We get thrown into a completely unfamiliar and uncomfortable environment, struggling with ourselves from within. This piece hopes that each individual finds solace even in the uncomfortable – only through adversity may we grow and return stronger. 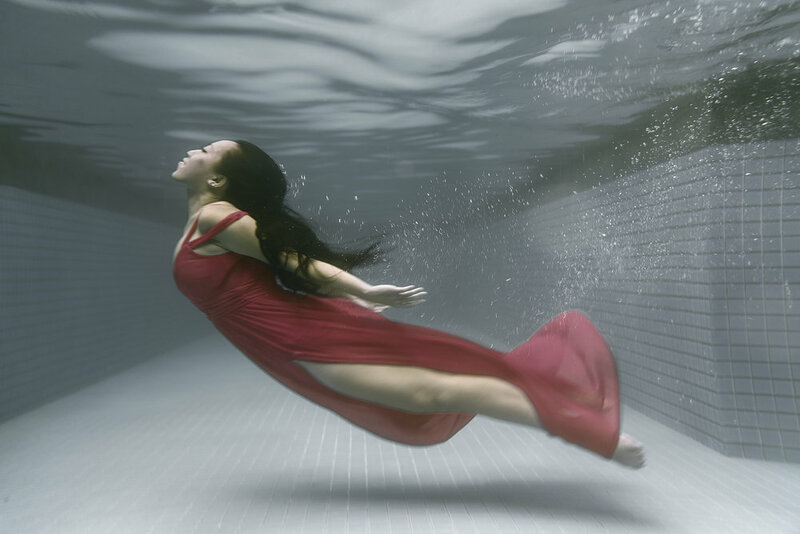 A range of cameras were tested to shoot underwater for the best effect. Test shots were also done at different times of day and weather conditions to best reflect the required mood. Different colours and texture of wardrobe had to be scouted to find a suitable material that was elegant and portrays the director’s artistic vision. 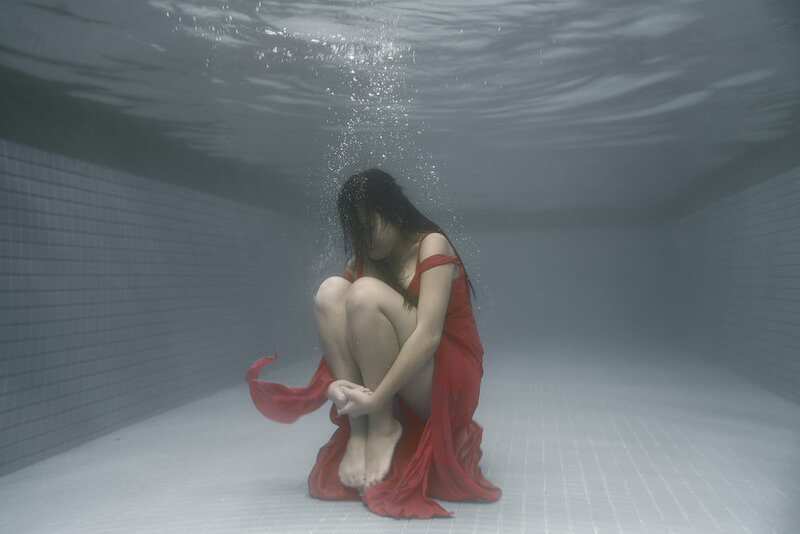 The shoot was set in a private swimming pool to give a sense of serenity yet cosy loneliness. The colours of the photographs had to be process to give a sense of peaceful sadness. The process took 3 full days to shoot and 1 full week to edit.